He shared the lot of many and he choose an end of his life, that has been chosen by not a few other people. Arthur Kronfeld was 55 years old when he and his wife committed suicide in Moscow on the 16th. of October in 1941. His motives for this action are unknown and will probably remain unknown, even though some circumstances of his death could meanwhile be resolved. Immediately after the end of the second world war, Johannes R. Becher reported, Kronfeld committed suicide in fear of Hitler. Immediately after this statement was expressed conflicting opinions arouse challenging this statement made by Becher. In this way a conceivable rebellion was expressed about the fate of many Germans living in exile, who had disappeared under the rule of Stalin. Kurt Hiller, who has been a friend of Kronfeld in earlier years, could at that time only imagine - and did so decades later in his memoirs - that Kronfeld could have committed suicide in anticipation of persecution by Stalin. The information that is available today, seems rather to support the statement of Johannes R. Becher than that of Kurt Hiller. Kronfeld had already earned a very high reputation in Germany as a theorist of psychiatric medicine. He was a known representative and supporter of a school independent psychotherapy. From the very beginning he received great recognition in the Soviet Union and preserved this recognition until his death. Today he is known as one of the "classics" in the Soviet psychiatry. Since 1936 he has been a professor in Moscow at the Gannuschkin Institute for scientific research in the field of neuropsychiatry. As a close colleague of M. Serejskij he was in charge of the "department for experimental therapies". He introduced the newly developed insulin coma therapy for patients suffering from schizophrenia to the Soviet Union. During his Swiss exile he had learned that method and was now able to do further scientific research. The co-operation that he experienced in Moscow is remarkable. His arrival in Moscow on the 15Th. June 1936 was an event mentioned in the newspaper called “Deutsche Zentralzeitung”. In spite of the general lack of room in the Soviet capital he and his wife received a flat with 2 large rooms. He had also been able to bring along his furniture as well as his extensive library from Berlin. Not much later he even received a flat with 3 rooms in a newly constructed building for the staff of the Gannuschkin institute. In this building he lived among others with Andrej V. Sneznevskij and Erich Sternberg. 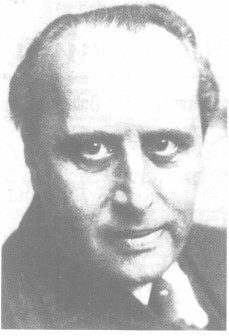 Sternberg was on of his former students in Berlin who had emigrated already in 1935 into the Soviet Union and had supported Kronfeld´s appointment for a professorship at the Gannuschkin Institute. His first public appearance in the Soviet Union has been on the all-soviet congress for psychiatrists and neurologists in December 1936. He explained the first results of his research, and described later this congress as a large success for himself. Within the next year he and his wife became citizens of the soviet union. His skills speaking the russian language must at this time been already far advanced and he was delegated to hold lectures about psychotherapy at the university in Charkow. In the following time he worked as well as a psychiatrist and consultant at the “Sokolniki” clinic, at the “Preobashenskij” hospital in Moscow and at a clinic in Kostroma, about 200 km northeast of Moscow. The first russian Publication by Arthur Kronfeld has been a great overview about the current problems within the theory of schizophrenia. This publication has been the introductory volume of the works of the Gannuschkin lnstitute in 1936. From the year 1938, he was a member of the editorial staff. He was also an editor of publications of the Preobashenskij-clinic, also called "Moscow´s first psychiatric clinic“. In the late of the thirties he advanced also to one the directors of this clinic. At the end he was director of the “Department for experimental therapy of psychosis“ at the Gannuschkin lnstitute. In this function, he was in charge of 120 beds and as he wrote proudly in a letter on the 15th June 1939, had "a good library, auditorium and - above all - excellent laboratories". Until 1940, different, partially extensive works of Kronfeld were published. In the beginning of August 1941 he still expressed confidence about his future plans in a letter to Karl Balthasar, another of his former students in Berlin. After the invasion of German troops into the Soviet Union, Kronfeld co-operated repeatedly in propaganda radio transmissions in Moscow. He wrote also a little pamphlet about his personal experiences with Hitler, Himmler and Göring published simultaneously in Moscow and Krasnojarsk and reprinted in Magadan and Sverdlovsk under the title Degeneraty u vlasti (degenerated men at power). Such a political engagement was not unusual for him. In Germany, Kronfeld had often taken the opportunities to express his opinions in public. In 1918 he was a member of the press committee and a delegate of the historically significant “Soldatenrat” in Freiburg/ Breisgau, later in the 'Society of socialistic physicians' (VSÄ) in Berlin, which he had joined 1926 as a member of the Social Democratic Party in Germany (SPD). He had run for office together with Alfred Döblin at a “trade union list“ for the physicians chamber elections in 1931. In 1932 he signed an "urgent appeal“ of the “Internationaler Sozialistischer Kampfbund” (ISK - International Socialistic Battle Society) together with Albert Einstein and the philosopher Leonard Nelson. This appeal called for a coalition of all left wing parties to oppose a success in the elections by the Nazis. Käthe Kollwitz, Heinrich Mann, Ernst Toller and Arnold Zweig. Kronfeld died during the autumn offensive by the German forces against Moscow, called “operation typhoon". Shortly after that, the Soviet army suffered devastating losses in the battles at Brjansk and Vjaz' ma. The quickly advancing German troops conquered on the 13th. and 14th. October 1941 Kalinin and Kaluga, two important cities of the defence line of the Soviet capital. On the 15th. October evacuation of the diplomatic corps, government, military and party organizations to Kujbysev near by the river Volga was announced. When on the 16th. October all departments left Moscow, panic broke out. The transfer of the Gannuschkin-lnstitute to Kasan has been prepared. Erich Sternberg reported after the war, Kronfeld was pushing him to provide the necessary papers for leaving, but he came to late. Arthur Kronfeld was born on the 9th. January 1886 in the capital of the still young German Kaiserreich. His father, a graduated lawyer, was the son of a Jewish choirmaster from Thorn (today Torún). 1884 he started a law office in Berlin. During this time, also called the 'founder years' (Gründerjahre), he became a council member for justice (Justizrat) and council member of the royal court (Hofrat) as well as a royal notary. For years he was also engaged in the commission for the poor of the Jewish community in Berlin. There are only a few information about the childhood and youth of Kronfeld aveilable. He was the 'firstborn' out of four children. His sister, born shortly after his graduation examination became an actress and debuted at the Burgtheater in Vienna. He went to school at the Sophiengymnasium in Berlin and studied medicine between 1904 and 1909 at the universities of Jena, Munich, Berlin and Heidelberg. In 1909 he was an assistant of Franz Nissl, who was the director of this famous psychiatric university clinic and the successor of Emil Kraepelin and Karl Bonhoeffer. In Heidelberg he earned also his medical Doctorate degree under Nissl. Kronfeld really started his career in 1910 as an assistant of Franz Nissl and his assistant medical director Karl Wilmanns. One year earlier, Karl Jaspers the best known of his colleagues at that time, had begun his scientific career in the same institute. 1912 Kronfeld published an extensive criticism of psychoanalysis, that made him well known at once in Germany and other European foreign countries. In the same year, he earned an additional Doctorate degree in philosophy under the philosopher and psychologist August Messer from Gießen. Incidentally it should be mentioned that Kronfeld published poems in the expressionistic periodicals Der Sturm and Die Aktion. He was also published in the anthology the Kondor by Kurt Hiller along with works by famous names as Ernst Blass, Max Brod, Salomon Friedländer, Ferdinand Hardekopt, Georg Heym, Else Lasker-Schüler etc. At the end of the year 1913 he began to work at “Irrenklinik Dalldorf“ (Madhouse Dalldorf, the current Humboldt-Klinikum, formerliy Karl-Bonhoeffer clinic for nervous diseases) in Berlin-Wittenau as an assistant of Hugo Liepmann, who has been a research scientist about aphasia. But at the 2nd. August 1914 he was for the first time thorn out of his career with an order of mobilisation for World War I. During the first world war, he was stationed mainly at the western front at Verdun and Douaumont. He received military medals as the “Eiserne Kreuz” (Iron Cross) I. and II. Class, the “Kriegsverdienstkreuz” of Mecklenburg-Schwerin and a medal for the wounded. These honours show his enormous efforts under these circumstances. After he was lightly injured at the head by a splinter of a grenade at Reims in spring 1917, he was transferred to manage the construction of a ward for nervous diseases in an infirmary of war in Freiburg/Breisgau. He got married in Freiburg at the 8th. August 1918. Three month later he became a member of the council of soldiers (Soldatenrat) who organised the conversion of the community into a republic after the breakdown of the monarchy. This 'Institute for Sexual Science' was founded by Magnus Hirschfeld and especially unpopular in conservative and Nazi circles. In 1933 the Nazis destroyed this pioneer achievement of Magnus Hirschfeld thoroughly. During the following seven years was Kronfeld obviously the “right hand” of Hirschfeld and head of the “department for mental and sexual sufferings“ in partnership with other physicians. In the March 1926 he opened a private practice as an psychiatrist, neurologist and psychotherapist in Berlin-Tiergarten. During these years, he acquired an excellent reputation as an expert in sexology, but it seems that for him this was only a secondary occupation within his broad scientific activities. His most important publications in this time were rather of fundamental, theoretical, psychological, psychopathological, forensic-psychiatric and above all psychotherapeutical nature. Because of his thorough, weighed as well as definite attitude in favour of an epistemological clarified psychological foundation within psychopathological research in the psychiatric field he could give himself a clear image as a prominent representative of a new “psychological way of thinking“ in the psychological medicine. This “new way of thinking“ has been at that time the main topic at many psychiatric congresses. organising a “First general medical congress for psychotherapy“. Since 1926 this movement established a “Medical society for psychotherapy“. Kronfeld was together with his friend Ernst Kretschmer one of the founders and an executive committee. From 1930 he was together with J. H. Schultz chief editor of the influential “Zentralblatt für Psychotherapie”, a periodical read all over Europe. Beside this he supported research in Parapsychology too, that interested him personally. Kronfeld and Albert Einstein participated by the way together at an experimental parapsychological session. Kronfeld was habiltated for psychiatry and neurology under Karl Bonhoeffer in 1927. He was the first lecturer at the Charité in Berlin who held lectures about modern psychotherapy. From 1931 he held an extra ordinary professorship at the Charite. But from 1933, when the Nazis claimed power in Germany he was driven out of the scientific life and his basis of living was simultaneously robbed by new laws. After Hitler seized power, Kronfeld, like all other Jews in the third empire, had to retreat from all public activities immediately. A new law from 7th. April 1933 (Gesetz zur Wiederherstellung des Berufsbeamtentums) could not yet dismiss him form his office as an university lecturer, because it contained an exceptional regulation concerning former frontline soldiers. Another law followed at the 1st. April 1934 and expelled him from getting his bills reimbursed by health insurance companies. With the decree of the Reichshabilitationsordnung” at 13th. December 1934 he had to withdraw from his office as professor at the 1st. February 1935. Hubert Kester, a relative of the psychiatrist and psychotherapist Matthias Heinrich Göring, a cousin of Hermann Göring, exulted with joy that Kronfeld finally was overthrown. Finally he emigrated into Switzerland and was firstly employed in a private sanatorium called “Les Rives de Prangins” and run by the son of August Forel. However the Swiss authorities did not grant him asylum. Therefore he applied for the already mentioned research-professorship in Moscow. An offer from Moscow really came into being and he had to accept this offer under the pressure of an ultimate expulsion order by the Swiss police department dealing with aliens. His death on the 16th. October 1941 was scarcely noticed as a result of the war events. An obituary was published nowhere. Also after the end of the second world war was he not publicly thought of, until he was rediscovered during the sixties while reviewing literary expressionism in the Germany. Within the field of psychiatry, his actual specialty, the memory of him was lost in the darkness of a repressed history. Today he is not even known as an early colleague of the famous “Heidelberger Schule", (“Heidelberg school”) whose program was inaugurated by Karl Jaspers as a phenomenological research of psychopathological phenomena. Kronfeld had been one of the few psychiatrists outside of Heidelberg who supported this program and tried to develop it furthermore while including efforts of contemporary researchers. In this manner Arthur Kronfeld suffered the same fate as many other Jewish scientists, who emigrated from German. After expulsion and death falling finally into oblivion as their “second exile”. Also his extensive scientific work of more than two hundred publications, eight books as well as fifteen littler monographs are forgotten. Kronfeld showed from the very beginning many and diverse interests for art, philosophy and science. In a literary circle, he made, just 18 years old, the acquaintance of Kurt Hiller. During the same time, a first paper of Kronfeld was published. It was a flattering comparison between “Goethe und Haeckel” (1905), and intended as an present for the 70th. birthday of the latter. He dedicated also his first published book, at 20 years of age to him: an treatise based on the therory of evolution about Sexualiät und ästhetisches Empfinden (Sexuality and aesthetic perceiving, Strasbourg 1906). This early work of Kronfeld could be the reason he made the acquaintance with Magnus Hirschfeld, since Hirschfeld used in 1908 a summary of the theses of this book under the title Das Divergenzprinzip und die sexuelle Kontrektation as “a contribution to the sexual theory“ next to works of Sigmund Freud and other psychoanalyst in his periodical for sexual science. The remaining works of Kronfeld are based on a explicit philosophical position, influenced by philosopher Leonard Nelson. Since 1907 he belonged it to Nelsons circle of friends. Nelson called this circle “Neue Fries´sche Schule" to mark the resumption of an epistemological tradition interrupted in the 19th century. The members studied in regular meetings, in addition to their actual studies, systematically the critical works of Immanuel Kant and his philosophical successor Jakob Friedrich Fries. It can be referred here only that Kronfeld became due to this circle close friend with the later noble prize winner for medicine Otto Meyerhof and was contact to o important mathematicians as Paul Bernays and Kurt Grelling. Through the latter he became acquainted with at that time intensively discussed problems of the mathematics and the consequences of the theory of relativity by Albert Einstein. Kronfeld was, as a 21-year-old student, confronted with the most current scientific questions of the 20th century. These questions were the reason for the development of the "Philosophy of science" in the modern philosophy. Kronfeld tried to use these stimulations for his specific subject. His first steps into this direction were extensive reviews of the publication by Nelson in the “Archiv für die gesamte Psychologie”. In 1910 he concerned himself, together with Meyerhof and his friend Otto Warburg, who won later the Nobel Prize for medicine too, but also with Karl Jaspers (who never mentioned this detail of his life) – with the problem of epistemology in psychoanalysis and reported about his results at a yearly conference of the Nelson-circle. The results were completed in 1911 and published as the already mentioned work about the Über die psychologischen Theorien Freuds und verwandte Anschauungen (About the psychological theories of Sigmund Freud and related views, Leipzig 1912). This first independent epistemological publication of Kronfeld caused at that time a considerable sensation and was translated into Russian at once. Freud registered this echo with surprise and ordered the printing of an extensive reply by Gaston Rosenstein; during the same time some other psychoanalysts were also discussing the work of Kronfeld. Though this success was only of short duration, since it was based mainly on the negative results Kronfeld presented in respect to the scientific quality of the largely disputed hypotheses of Freud. His way of analysing the hypotheses in a logical and methodical order did not gain any greater attention. Because of that Karl Jaspers appeared, based on his own methodical writings, later as the founder of the scientific methodology in psychiatry. These historical effects must be referred to because an intention of Kronfeld was to establish psychiatry and psychology with theoretical foundations as a 'strict science'. To this purpose he extended his studies to the analysis of all logical and methodological prerequisites of psychology and psychiatry. Because of the First World War he was not able sum up his results for a long time. In 1920 he published his results as a collection of different treatises. He presented under the title Das Wesen der psychiatrischen Erkenntnis (The Nature of the psychiatric knowledge, Berlin 1920) nothing less than the fundament of a complete “philosophy of science of the psychological sciences“. He tried to find a systematic unity between psychology, psychopathology and psychotherapy and clarify their relationship towards each other. Kronfeld sighted the different professional philosophical and sychological opinions of his time and determined their value. He analysed in detail the methodological statues by Jaspers, above all his concept of "understanding“ (Verstehen) and his opinions about the “type concept” (Typenbegriff) by Max Weber. The discussion of the status of psychoanalytical hypotheses and the principles of testing their validity was continued by Kronfeld. Yet his explanations found in the time after the First World War only isolates echoes. In his profession he published again about sexological subjects. His best known work at that time would be his large collected papers called Sexualpsychopathologie in the Handbuch der Psychiatrie by Gustav Aschaffenburg (Vienna and Leipzig 1923). Kronfeld began an apprenticeship psychoanalysis and studied hypnosis. At the same time and with consciousness towards the primacy of practice, he tried to grasp the practical work as a psychiatrist and psychotherapist also theoretically. Within the school of individual psychology by Alfred Adler, he found the best therapeutic strategies. That is why he joined his organised group in Berlin for a while. Yet he demanded throughout a differentiated view and theoretical integration of all effective elements within the psychotherapeutic work. Under the name "Psychagogik“ he published for the first time his psychotherapeutic introductory courses held at the Magnus Hirschfeld - institute (Psychotherapie, Berlin 1924 / 25) This book established the foundation of his reputation as one of the most exceptional school of thought independent psychotherapist of the Weimar Republic. His views were published more detailed under the title Psychagogik - oder psychotherapeutische Erziehungslehre in a collected work published by Karl Birnbaum (Die Psychischen Heilmethoden. Leipzig 1927). This handbook contribution represents factually the outline of his comprehensive psychotherapeutic teachings. Kronfeld was not able to complete this concept to its end. His energetic efforts to establish a institutional specialist training for physicians during the roaring twenties were due to the diverging interests of different psychotherapeutic schools not successful. Practically and journalistically he was just able to spread his psychotherapeutic knowledge and practical skills. He had to take a finished manuscript about the Technik der Psychotherapie with him when emigrating from Germany. He was only able to print a little prepublication of this manuscript. In his habilitation-paper Die Psychologie in der Psychiatrie (Psychology in Psychiatry, Berlin 1927) he described once again, even though from another point of view, the methodical foundation for the science of psychiatry. He showed reasons for his thesis, already first presented before the First World War, that it was necessary to use psychological means when analysing psychopathological symptoms to achieve a scientific understanding of those psychopathological phenomena, rather than just creating a classification of mental illnesses. Kronfeld tried to prove his thesis by using an example. In his book Perspektiven der Seelenheilkunde (Perspectives in mental medicine, Leipzig 1930) three years later he showed his program giving the example of schizophrenia. By discussing all the points of views presented by contemporary psychology, he struggled to give the problem of schizophrenic phenomena a theoretical framework. He tried to describe them as “primary disturbance of intentionality“ (primäre Störungen der Intentionalität) and used the "fundamental anthropological“ works created by Martin Heidegger and Sören Kierkegaard as a foundation. Above all this book seemed most important for Arthur Kronfeld, but the reception was slowly and hesitantly. The circumstances prevailing at that time prevented any greater effects. - The same fate met his as purely reporting conceived Lehrbuch der Charkterkunde (Textbook of charakterology, Berlin 1932). This publication fell shortly before the national socialists seized power over Germany. 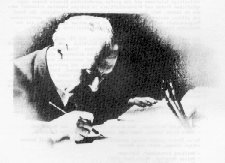 After 1933, he made a last courageous attempt to publish and extend the periodical Psychoanalytische Praxis by Wilhelm Stekel as an alternative to the periodical Zentralblatt für Psychotherapie. The Zentralblatt was at that time under the patronage of C. G. Jung but immediately influenced by “German psychotherapists“ and misused for political propaganda purposes. However his efforts proved to be useless. The work of Kronfeld written in the Soviet Union are not known in Germany, nor is any translation into German available. Analysis and scientific estimation of those publications must remain as a task for the future. As mentioned before, Kronfeld had not only affect in Germany by means of his publications. He was also an engaged member in a dozen of scientific societies and partially also a member in their boards. Next to his activities as a neurologist, psychiatrist and psychotherapist he was an expert witness in court, held lectures at the university, worked as publisher and editor and organised conferences and exhibitions. In the year of his elimination from the German intellectual life he received a last distinction: he was included in the Biographische Lexikon der hervorragenden Ärzte der letzten fünfzig Jahre (Biographical lexicon for outstanding physicians of the last fifty years, Berlin und Wien 1933), the until now last volume of the Biographisches Lexikons der hervorragenden Ärzte aller Zeiten und Völker (Bographical lexicon of outstanding physicians of all times and peoples). It is a remarkable historic fact, that Kronfeld was not remembered until a long time after the second world war of and first of all only in memoirs of some of his personal friends like J. H. Schultz, E. Kretschmer, M. Müller, K. Hiller an others. He was mentioned also in the autobiographies published later and biographies of Otto Meyerhof, Leonard Nelson, the psychoanalyst Karen Horney, Werner Kemper and Walter Schindler as well as the psychiatrist Lothar Kalinowski. Yet even in these there is rarely mentioned more about him than just his name. Even his publications are quoted only sporadically in psychiatric, psychotherapeutic and sexological literature. The name of Kronfeld and his work possess at present no longer any authority in the psychiatric medicine. But even at his time did his books invite only a few to contradiction and discussion. The reception of his detailed and broad discussions, basic reflections and careful considerations required time and energy as well as a level of understanding that only a few could provide. - To explain the historical similar ineffective philosopher Jakob Friedrich Fries, on whose works Kronfeld so strongly supported himself, it was be stated among other things that he was free of one-sidedness and egoism and placed the philosophy of Immanuel Kant that much into the foreground, that his characteristic original thoughts faded into the background. The thoroughness and severity of the teachings of Fries require hard work by the student or reader: it seems similar things could be said about the works of Kronfeld. Kronfelds large publications - and far over 500 reviews – show his very wide readings and have an almost encyclopaedic width of knowledge when discussing opinions of different authors. Above all his books form therefore a treasure-house for psychiatry and the history of psychotherapy, especially since they contain multiple explanations when reviewing the history of ideas and theoretical efforts in the psychiatric and psychotherapeutic medicine. In his books Kronfeld does develop his own views when discussing opinions of other authors. He allows their ideas to stay next to his, even when he sometime polemically differentiates himself from their theories. Yet even at those times the style of his scientific discussions keeps their essential feature of defending or rejecting opinions by showing exact reasons and explaining his way of deriving. This open dialogic way of writing is always a very good example and model of a scientific conviction in a medical speciality where clarity of thinking and precise argumentation is essential above all. The work of Kronfeld is practically unused today and neither historically reviewed nor seriously scientifically considered. Especially today were we live in a time of uncertainty about the foundation in psychiatric medicine, his works remain unused for the great task to convert and extend psychiatry into a science, an effort that has once been the primal goal of Kronfelds work. Site: Fate and work of a Jewish psychiatrist and psychotherapist. Übersicht Kritische Arbeiten zur Psychoanalyse und Analytischen Psychotherapie. 25.05.15 Link error checked and corrected. 01.03.07 Link to the worddocument of the russian version.